February 14, 2018 To Chamomile or To Not Chamomile? School has started, if your kids are anything like mine then you will understand our frustration over getting them to wash their hands properly when they get home or after playing outdoors etc. They do that thing... with a quick water rinse, maybe wipe with the towel, better yet the back side of their DIRTY pants!!! Seriously??? Do they really think those hands are clean? OR that we will believe them? Wash. Wash & Wash your hands as many times as needed. This is so very important especially for our littlest ones. Eat healthy, Get some physical fitness in and take your vitamins. A strong immune system is your best bet. Dont hesitate to go and see your doctor when your body tells(screams) at you for attention. Health Canada and put them into use where ever you are. Sometimes you need to see a doctor, take antibiotics or ride the bugs of your system. Its not a perfect system, but you know your body best or that of your children. Do what feels right because only you will know what is the correct treatment for you & your family. 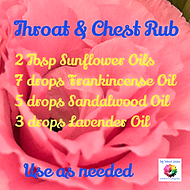 This mixture is packed full of healing oils, ready to help ease chest congesting and that annoying cough. Soothing you skin and Safe for your littles as well. 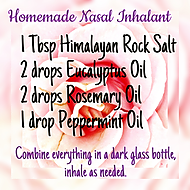 Got sinus issues, struggle with allergies, keep this little gem hidden in your purse or office desk. Keep your mind and sinus free and clear of stuffiness. Are you prone to Straph, Strep or Pneumonia then you need to keep these oils close: Lemon & Eucalyptus Essential Oils are effective in fighting off bacteria that causes infections such as Staph(ylococcus) Strept(ococcus) or Pneumonia. So if you are prone to such ailments, you now know that Lemon and Eucalyptus Essential Oils are your ammunition during the Flu Season. When you use natural remedies then layer them with natural disinfecting cleaning products you are not only helping keep our fragile environment safe but you are keeping your loved ones safe. Our vast array of organic cleaning products give you choices when it comes to Therapeutic Aromatherapy benefits. You can now layer how you live and clean, add to your daily routine of Diffuser Essential Oils the Miracle Collection of Organic cleaners. Keep your home, office, car or place of business feeling fresh and clean. If you want to go one step further, wake up your senses with our Shea, Coco & Mango Butters with Aloe and Goats Milk; we use a variety of base combinations with moisture rich and therapeutic essential oils. 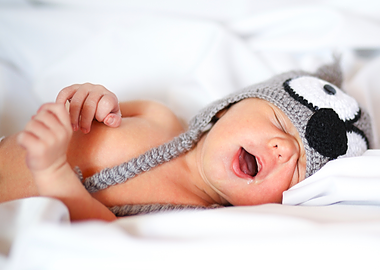 Your AM routine will thank you for the soothing calm before the morning chaos! . There will be times where no matter how much you stay clean, you need the germs to build your immune system; so get out there enjoy the cooler weather & let your kids play in the dirt; you know that with school back open they will be bringing home all types of bacteria and viruses. We did so when we were kids, only difference is we actually listened to Mom and washed our hands & stayed clean. We drank water from the garden hose, shared drinks with our friends but we also didn't get sick as often and still don't. Take this as your key to having fun with your family, enjoy getting together with loved ones, go for that fall hike and yes Shake hands with strangers! You will survive!